It should be called "Hilariousnonsense.gov"
ABC News did some reporting on the $18million website, and found that in addition to massive fraud in reporting jobs "created," the site now is reporting jobs created in congressional districts that DO NOT EXIST. In Arizona's 15th congressional district, 30 jobs have beensaved or created with just $761,420 in federal stimulus spending. 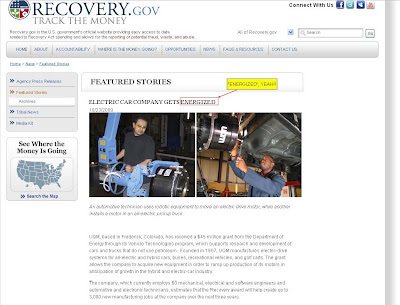 At least that's what the Web site set up by the Obama administration to track the $787 billion stimulus says. 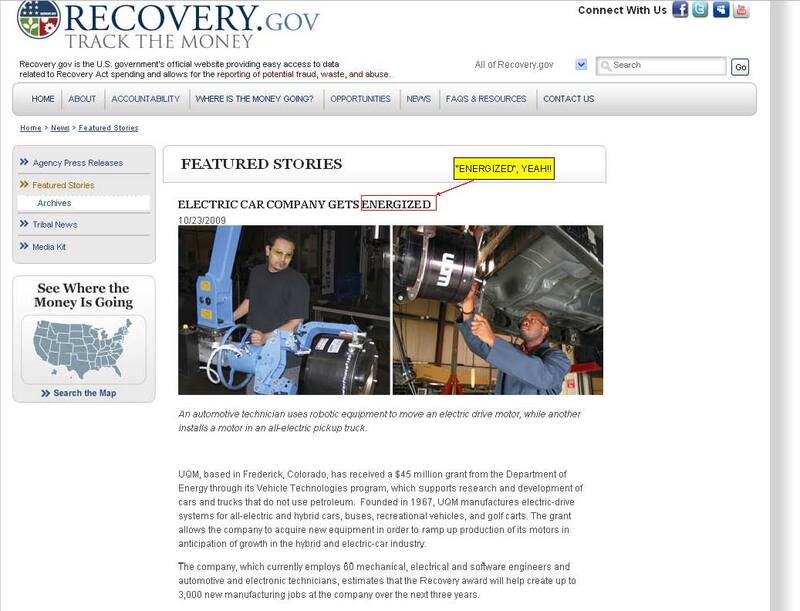 Discrepancies on government web site call into question stimulus spending. There's one problem, though: There is no 15th congressional district in Arizona; the state has only eight districts. For more hilarity, just click ANYWHERE on the site. Like here for example, where $45million given to Colorado-based UQM might result in 3,000 jobs being created in the next three years. The company currently has SIXTY EMPLOYEES, and this money is for Research & Development. Not broad manufacturing, but research. Suggesting a 5,000% increase in the company's employee base thanks to a research grant is profoundly absurd.